This entry was posted in Core CrossFit Pilates and CrossFit and tagged core CrossFit functional fitness HIIT pilates on January 16, 2014 by Jennifer L. Bearse. “Inside the Box”. 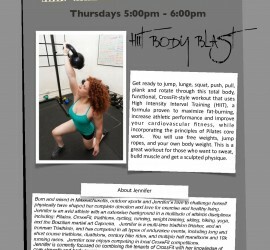 I am featured in an article on Pilates and CrossFit in Pilates Style Magazine!! This entry was posted in Core CrossFit Olympic Lifting Pilates Pilates and CrossFit Uncategorized and tagged core CrossFit functional fitness ironcorepilatesfitness mobility olympic lifting pilates squat stability strength on September 23, 2013 by Jennifer L. Bearse. 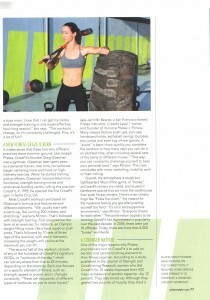 I am so excited to be featured in the September/October 2013 issue of the national publication Pilates Style Magazine in an article on CrossFit and Pilates!! I couldn’t be happier to see all of my efforts and passions coming to fruition! I hope you enjoy the article. Please let me know what you think! This entry was posted in Core CrossFit Pilates Pilates and CrossFit and tagged core CrossFit functional fitness mobility pilates stability strength on July 24, 2013 by Jennifer L. Bearse. This is a great article! Mobility and stability before strength! Another great reason to incorporate Pilates into your training regime. Train your weaknesses often. Which element of the 10 components of fitness are you missing? Stability and Mobility: Do You Have Both? | Tabata Times Tabata Times.